Throughout the ages, the Skylanders have used their magical powers and weapons to protect the Skylands. But now, trapped by an evil tyrant, they have been banished to Earth. Only you can help them fight back and achieve their final destiny. 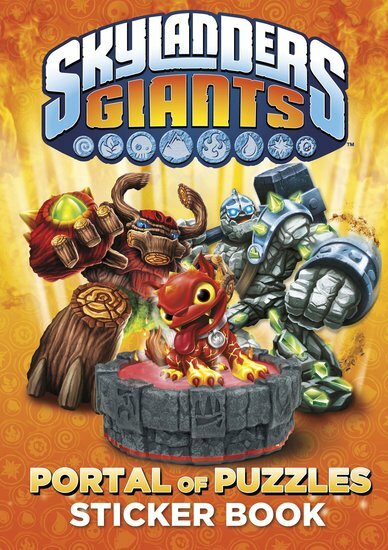 Join the Skylanders in their battles at the Portal of Power to see who will win the title of ultimate Portal Master. Do you have what it takes? Prove your credentials by helping the Skylanders in this collection of fun activities, checking out the incredible new Skylanders Giants. As you stick in the stickers of all these fantasy fighters, just remember: the Skylanders need YOU! I liked this book. The stickers are good. The puzzles are easy and hard.